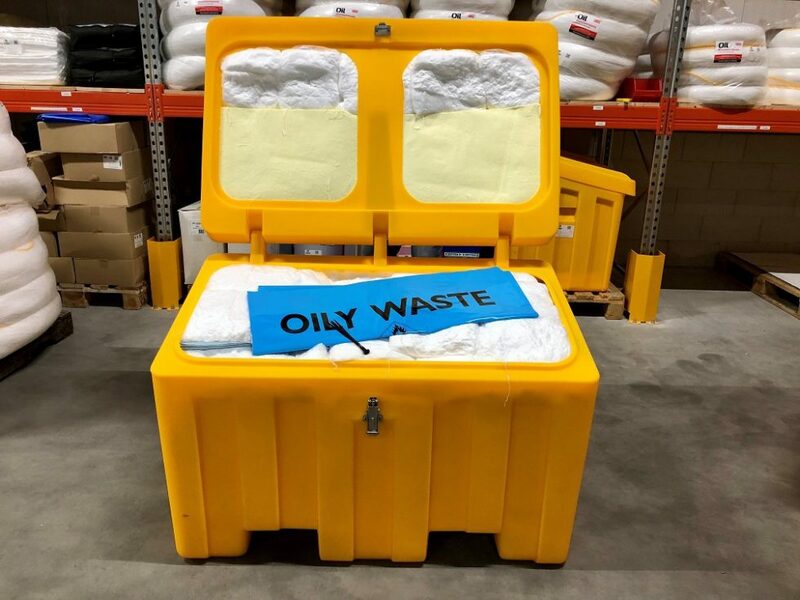 Absorption Materials | Repair Management Nederland B.V.
For oil spill on board or on shore we offer OIL ONLY absorbents. This OIL ONLY Mats, rolls and booms absorb oil and petroleum, but reject water. 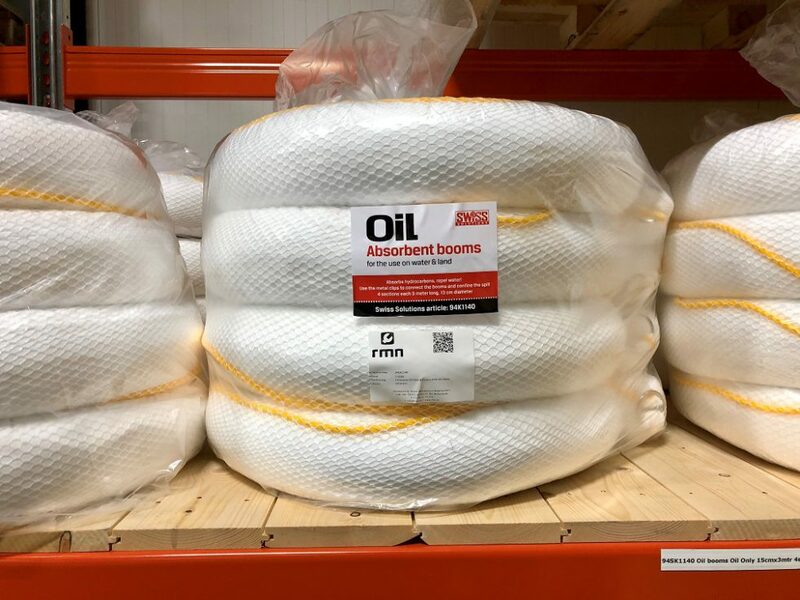 Floating oil booms are also used to prevent oil spots from spreading. Oil Only oil boom double skin with quick fit couplings. Very suitable for use in incidents. Oil boom contains the spilled oil and absorbs this quickly. Complete with couplings for various length. 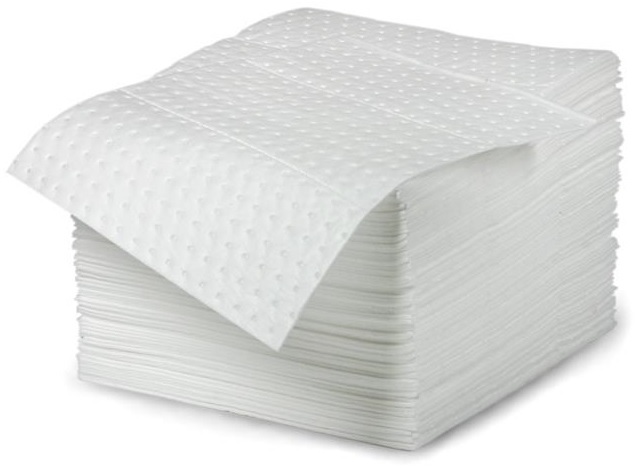 Double skin prevents any loss of absorbing material. The polypropylene cord provides great tensile strength. Available in various diameters end lengths. 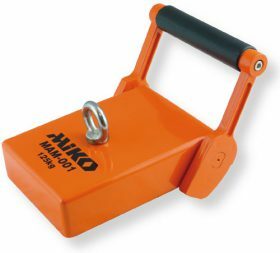 Especially for connecting Oil Booms to a ships hull we offer the Miko Marine Under Water Magnets. An ideal tool for a temporary anchor point, like the MAM001. 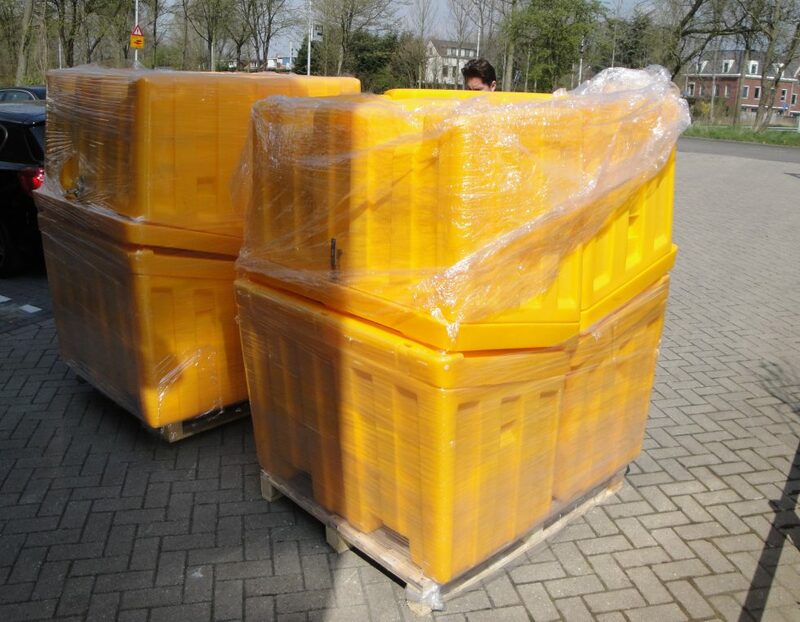 Pollution Containers for small, middle and big size oil spillage. The container is splash watertight. Ideal for places where big catastrophes can happen like on vessels, ports, warehouses etcetera. Can be placed inside or outside. O.P.A. 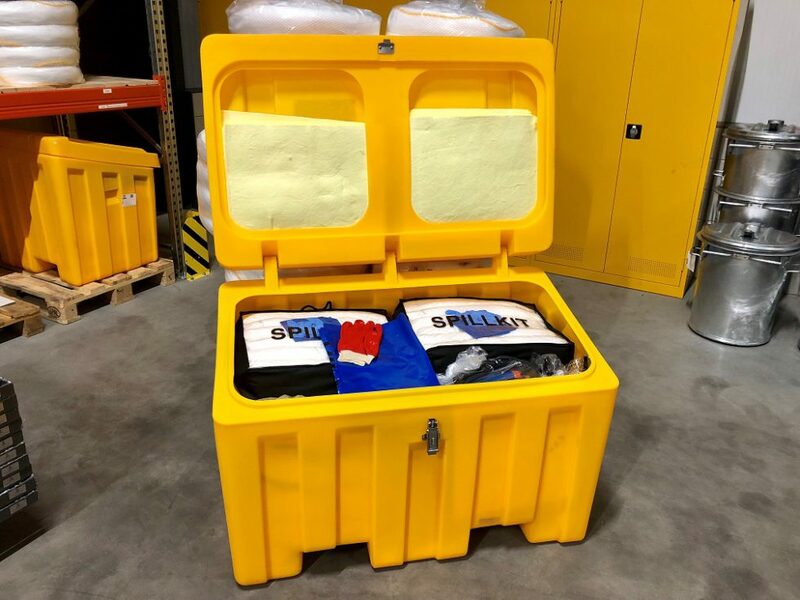 90 Spill response kits, special kits for vessel bigger than 122 meters. 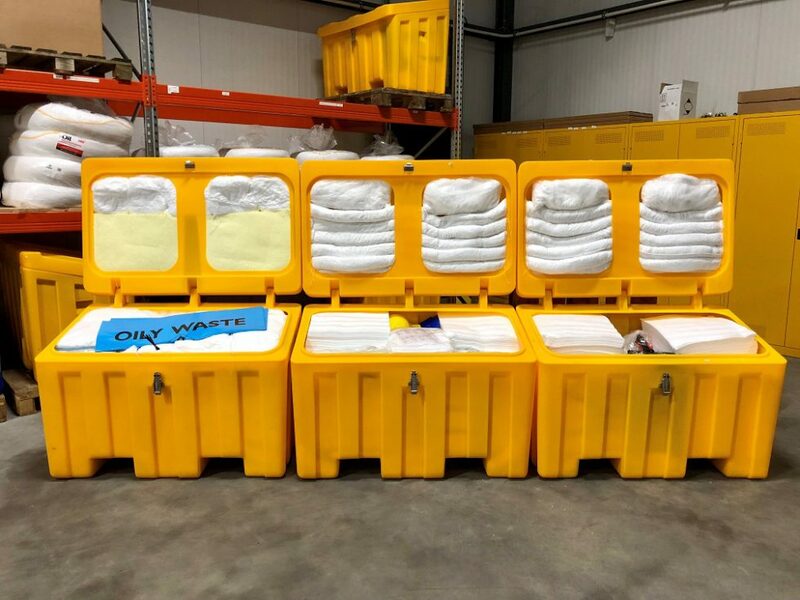 Those kits are according SOPEP (Shipboard Oil Pollution Emergency Plans) and OPA 90 for leakages on deck. For safer working conditions, reduce penalty’s by authorities, rate up your public image. 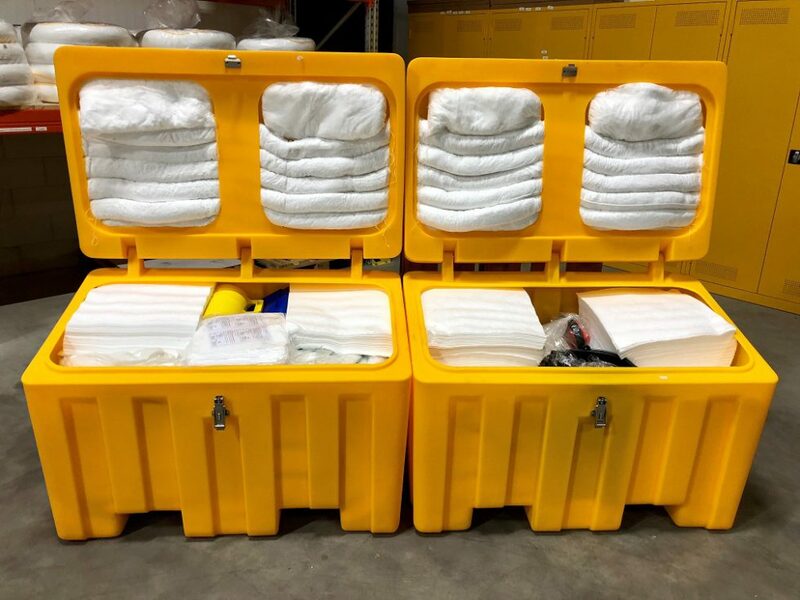 The 7 barrel kit exist out of two and the 12 barrel 3 weather and corrosion resistant containers. Transportable with a fork-lift truck or fork truck. Each container can store two 200 liter drums. Only available as Oil Only. Designed according the guidelines of the MARPOL 73/78, the O.P.A. regulation section 4202. Consist out of 1 complete filled container. Consist out of 2 complete filled containers. Designed according the guidelines of the United States Coast Guard. 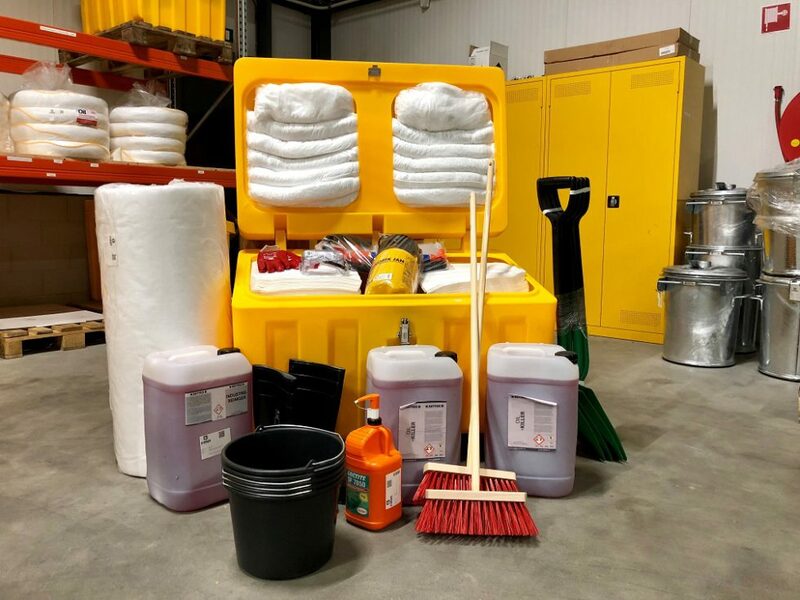 Overview of the Oil Absorbent products and accessories.